Over the past week we made four updates to K12 Transfers that were made available this morning. If you sign in with your district Google account, you’ll have one less click to do when you sign in. We updated the sign in process so that you only have to provide permission to your account once. On subsequent sign ins you’ll go directly to the application without having to click the “okay” button. When you apply for a transfer you now have the option of opting out of receiving email notification. The default is to receive notification but there are some cases where you don’t want notifications to be sent and so now you have that option. 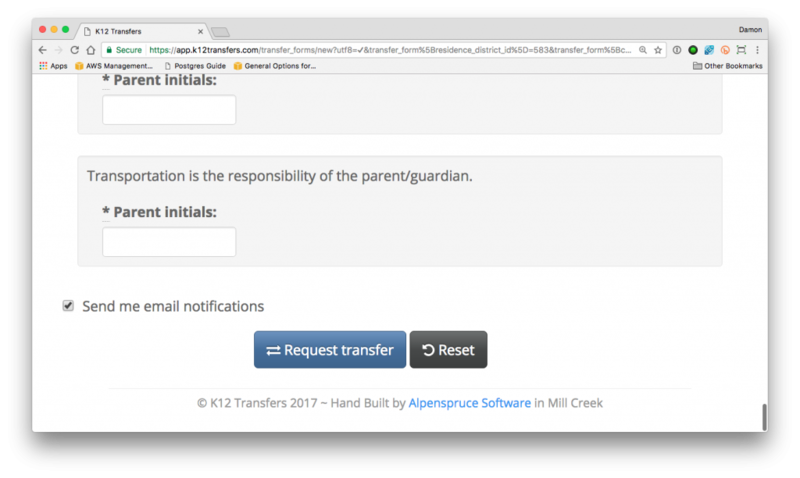 You can now send a notification to parents when they submit a transfer request by creating a transfer submitted email template. 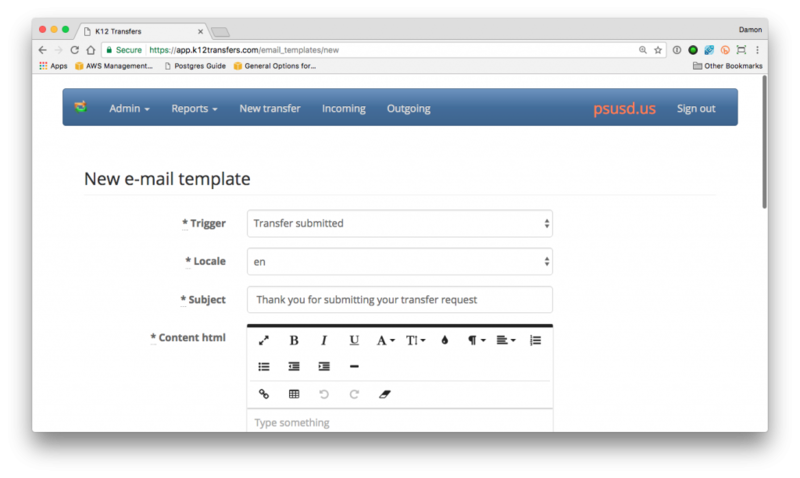 This allows you to let parents know that their transfer request was received. So that you don’t have to add schools manually, we pull school information from the California Department of Education site. The challenge with this is that not all schools in the state’s data are valid for a district at any given time. To help prevent transfer requests to sites that are not currently valid – for whatever reason – we now allow you to hide schools from the transfer form. 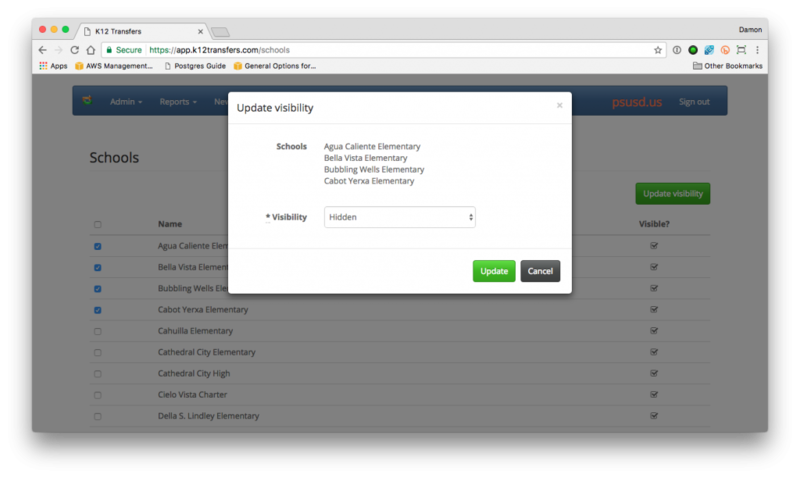 To update, go into the schools section and update the site’s visibility. as well as performing general system upgrades.